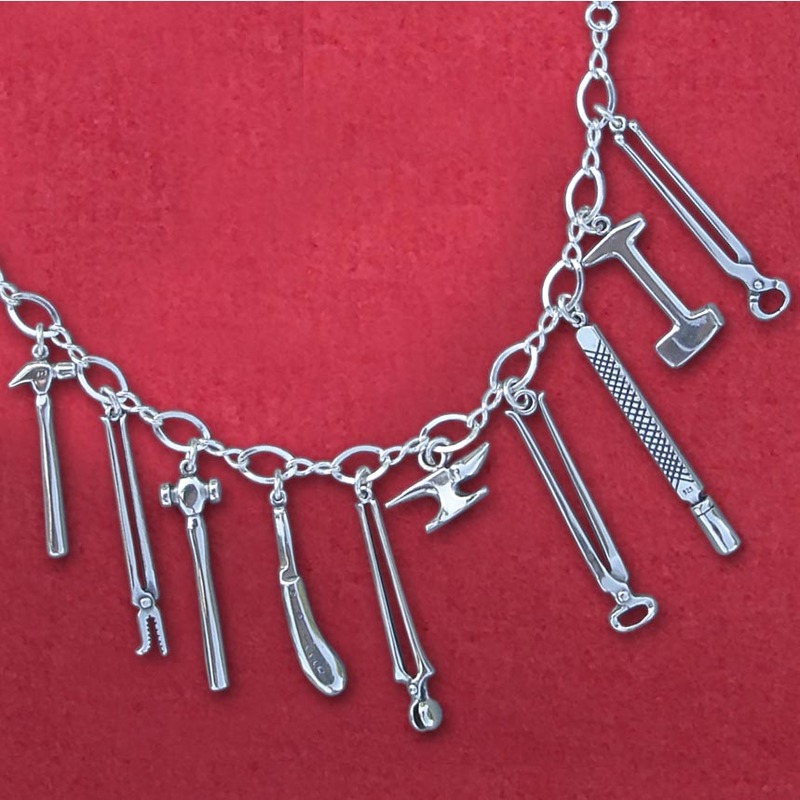 Incredibly accurate Sterling Silver farrier tools and chain. Chain is 7 3/4" Long - Tools are about 1 1/2" long. Buy the 20" extender chain to easily convert your bracelet to a stunning necklace.